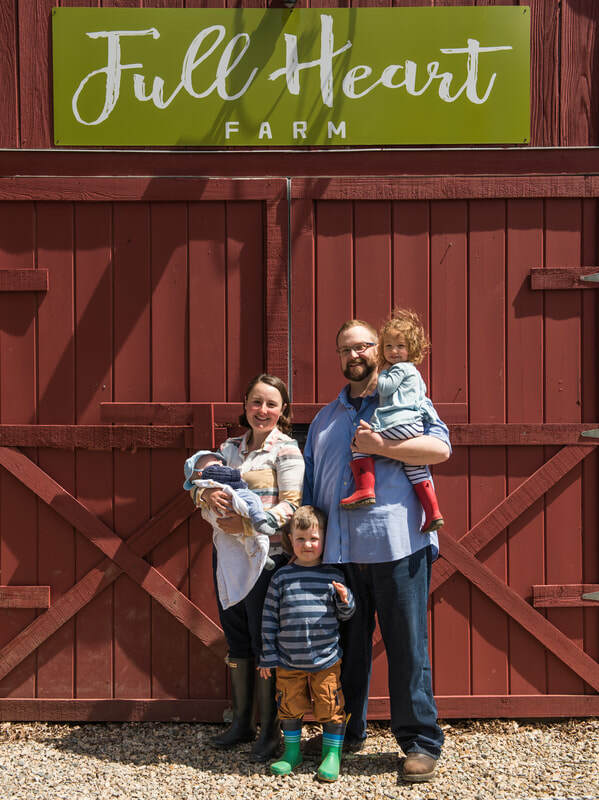 Full Heart Farm is a small, family farm in Ledyard, CT that grows over 100 types of vegetables, as well as berries, herbs and cut flowers, to feed the families of our FarmShare Program. We are honored to be the farmers for over 75 families that join our farm each season. Our members are the heart of our farm; we know them all by name and look forward to visiting with them each week. We grow their food with high attention to health, quality, and sustainability. We have created a space where our children, and theirs, can freely roam the fields and snack without concern of synthetic fertilizers or pesticides. We select varieties that are beautiful, delicious, and make cooking healthy, farm-fresh meals simple to do. Sign ups for our 2019 Summer Vegetable + Flower Shares are NOW OPEN! Love vegetables, morning work, and the joy of discovering carrots shaped like pants? ​Join our farm crew for the 2019 Growing Season! Now Accepting Sign-Ups for Our (very first, very limited) Spring Flower Share! "Those who give you their FOOD, give you their HEART"